Winter is coming: Do you have a snow removal plan? Is there anyone who doesn’t like the exhilaration and enchantment of a fresh snowfall? Perhaps you might feel differently if you are responsible for shoveling away all that snow from your business. However, with the right commercial snow removal company, you can see it less as a major chore and enjoy the winter snow like everyone else. The Eskimos have more than 50 names for the word snow and there are probably just as many methods for removing it. Contact Mikula Contracting, they will handle your commercial snow removal right the first time. Communication – it’s vital to communicate your plans with staff. For example, perhaps you want them to avoid a certain parking lot during snow days or need to let them know to be patient with and respectful of snow removal vehicles. Provide up-to-the-minute updates so everyone knows where to go and what to expect. Consultation with your snow removal company is also critical. Make sure you use all communication tools available, such as email, social media and texts, to create and receive notifications. That way, they quickly send information like arrival time, how much de-ice product they applied, etc. Details—how much snow needs to accumulate before snow removal takes place? How long after the snow stops will the snow clearing begin? It’s imperative that you understand all the specifics of your snow removal plan. 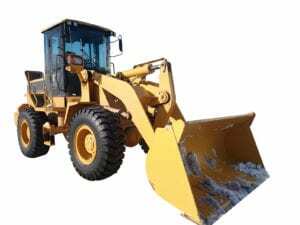 Factors like where to push the snow and the best ways to minimize any disruptions or lot closures must be decided and agreed to so you can make the most of any snow removal service. Communicate your priorities and the entrance locations to your snow removal company in advance to be sure no entrances become blocked off. Productivity over price – some companies look at cost as the major factor for choosing a snow removal company. While cost is important, you must also put it in perspective. A snow removal company with just one small plow will probably charge you significantly less than a larger company, but they may take twice as long to complete the job. However, this will not work if you own a huge commercial property. Responsiveness — you can’t predict or schedule when snow will fall. No matter what time it comes or how much accumulates, your employees and customers probably expect to find your property open, cleared of snow and ice and ready for business. It’s crucial that your snow removal company is timely, fast and accessible throughout the season. Most companies will guarantee a response time, typically within 1-3 hours. Thoroughness – what good is it to have a snow removal company if they do an incomplete job? Just one forgotten patch of ice or pile of snow can cause slips, falls and a mountain of trouble for your business. It’s too expensive not to have a plan. Slipping and falling on ice or snow is one of the most common causes of lawsuits and liability disputes. Studies show that the average cost you will pay for a claim from someone slipping or falling on your property is approximately $20,000. Avoid expensive lawsuits by putting a plan in place. You are responsible for keeping your customers and employees, customers, building and assets safe. Leaving your snow removal to chance is the very definition of waiting for an accident to happen. Research proves that a majority of falls in the winter (35 %) happen in parking lots. The rest occur on sidewalks (21%) and other areas outside the building (25%). Old-fashioned remedies don’t work effectively. Some people think that if you just sprinkle some cat litter or sand on the snow that it will melt. While this might help the traction under your tires, it will not melt the snow efficiently. An ounce of prevention is worth a pound of cure. You already know that we will probably see at least one snow event this year. Don’t get caught off guard. It’s essential to plan ahead to take away the guesswork and worry. Snow removal is full of risk, liability and possible injury. You don’t want to have to pay for these issues. The company you select should offer snow removal as a major service, not a side hustle. Some companies believe that all you have to do is strap a shovel to their existing vehicle and as a result they are a snow removal company. The biggest problem with that logic is that snow removal work requires training and safety awareness. This can be treacherous work, often performed at night in freezing conditions. And accidents happen. You want to be sure they have the right insurance and licenses to handle whatever comes up. You don’t know what winter will have in store for you. Now is the best time to look for snow removal companies in New Jersey. Shop around and get lists of what services each company will or won’t perform. For instance, you need to know whether they include preventative measures as part of their services and if they will also haul the snow away. Additionally, some companies offer snow and ice removal as a separate and others require you to bundle it with their other offerings so make sure you know what you’re getting before you sign on the dotted line. It can be difficult to know, just from looking, whether a snow removal company is the right one for you. Some of the best indications include how many years they have been in business, a good safety record, and satisfied customers. 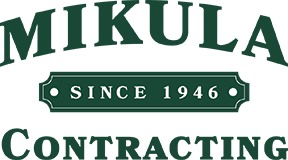 Mikula Contracting has been servicing businesses and communities in northern New Jersey for more than 70 years. We handle both recurring commercial snow removal projects and emergency events. Our trained professionals and high-tech equipment will keep your business safe and snow-free.